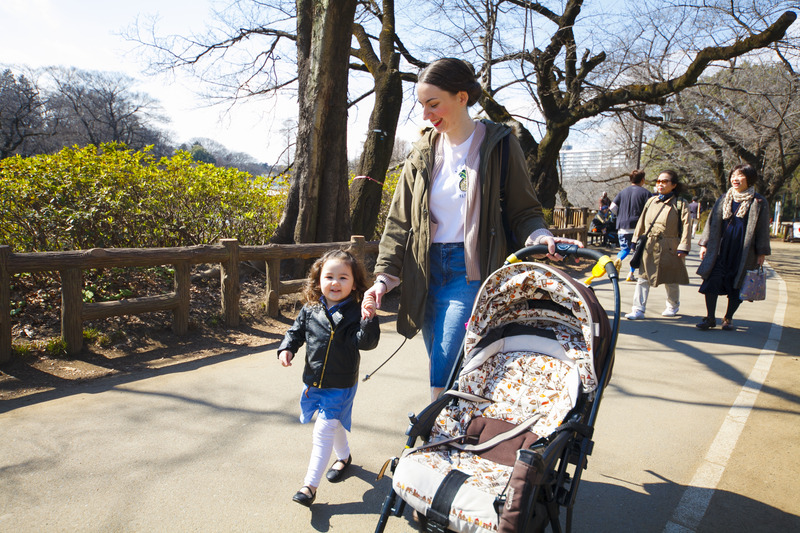 To the uninitiated, Tokyo may not seem like the most family-friendly place to visit, but there's actually a lot to do in the city with your kids in tow. 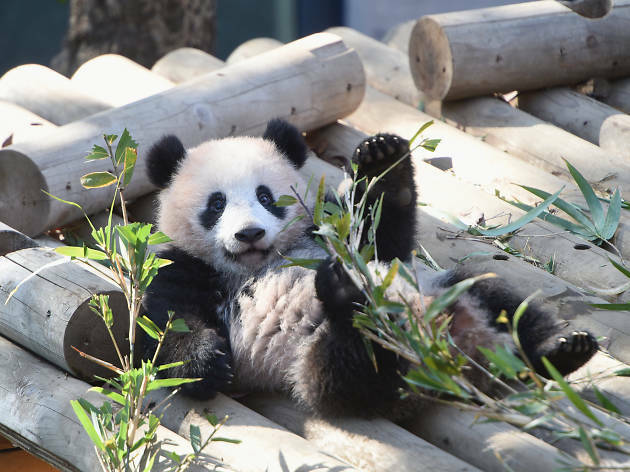 There are exciting animal attractions and cute pet cafés suitable for the whole family; you could also sign your children up for a cooking class. From hands-on activities (like making fake food samples!) 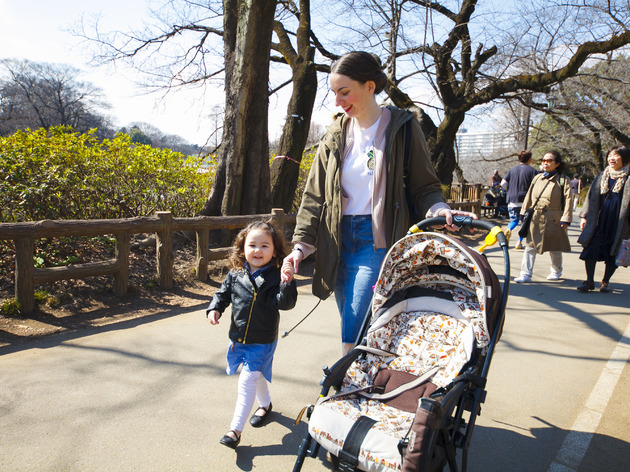 and conveyour-belt sushi to amusement parks, festivals and river cruises, we highlight our favourite things to do in the capital so that you and your little ones can hit all the classic Tokyo experiences together as a family. Disneyland is always a special place for children, but the Magic Kingdom kicks things up a gear on birthdays. If you time your visit to coincide with the month of your child’s birthday, you can request a special birthday sticker from one of the cast members in the park for free. The sticker – which has your child’s name and birthdate on it – will turn them into a celebrity for the day. Wherever they go in the park employees will greet them with a ‘happy birthday!’. 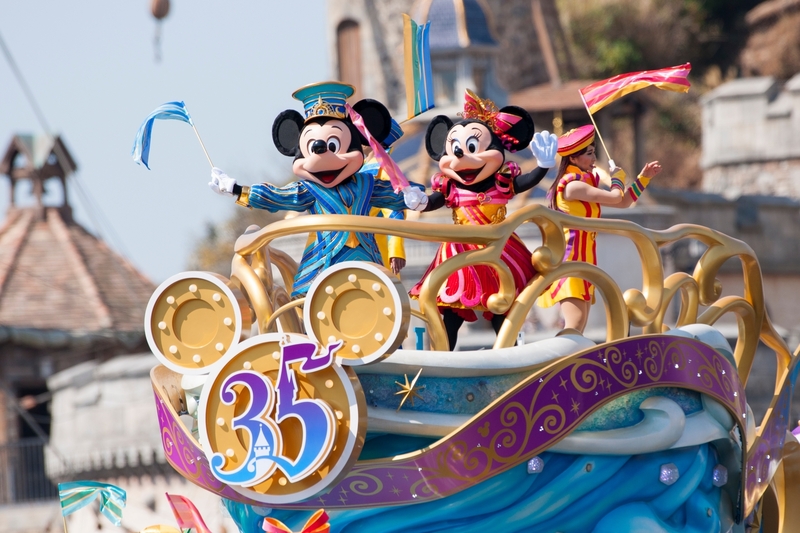 There are other perks as well, including special birthday signs which their favourite characters will hold while having their picture taken at official photo spots. 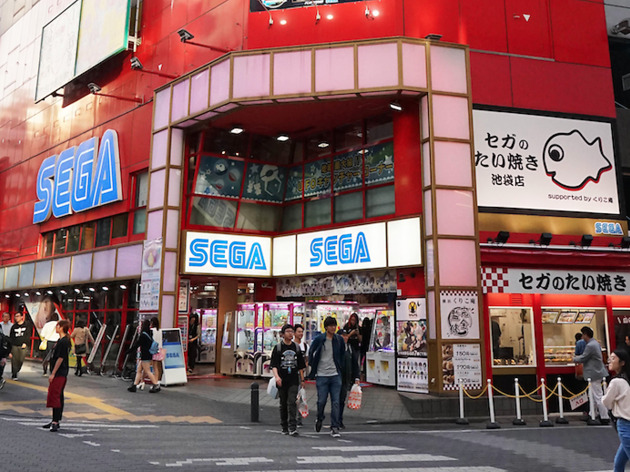 Combining dressing up and selfies, the Sega game centre has something to appeal to kids of all ages. On the sixth floor you’ll find row upon row of purikura (sticker picture) machines. Before stepping inside one of the booths, be sure to make a stop at the cosplay desk where you can pick from hundreds of costumes. Kids costumes only cost ¥100 to rent, with adults setting you back ¥200. There are changing rooms, lockers and even vanity mirrors for styling your hair or applying makeup. Blokes are out of luck though; men are only allowed to enter this floor when accompanied by a female companion. Looking for an aeriel view of Tokyo? 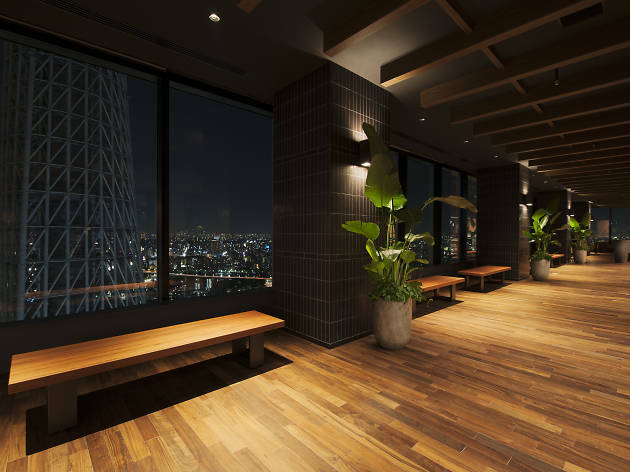 You can skip the crowds at the city’s several observation decks – plus entrance fees – and still admire the cityscape from up high at Tokyo Solamachi shopping centre. Book a lunch at one of the 31st-floor restaurants and take in the view without the endless whines of ‘how much longer?’. 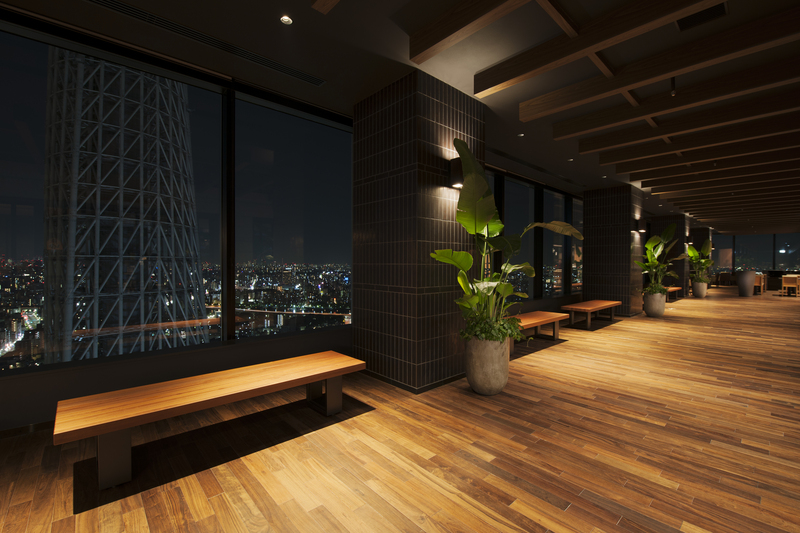 (There’s a good view on the 30th floor as well, as pictured.) All the eateries are surprisingly kid-friendly, with good-value children’s menus and high chairs for little ones. Chinese restaurant Brasserie Ginza Aster Subaru is our pick; here you can splurge on a set menu and child’s plate for less than it would be to go up one of the vantage points. 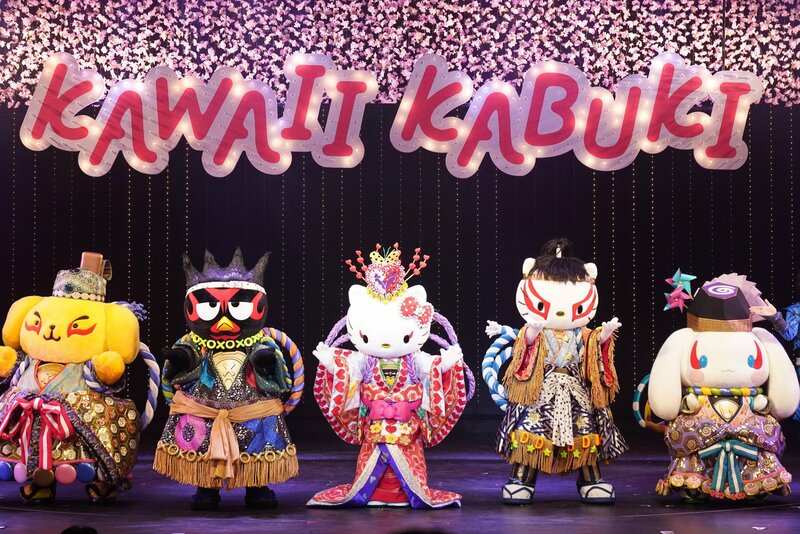 Sanrio’s Puroland is an indoor theme park centred around energetic live shows, character meet-and-greets and photo opportunities, making it the perfect place for families with young kids who can’t yet enjoy rides. Older kids with a love for Hello Kitty and her friends, or Gudetama, will find plenty to entertain themselves with, too. 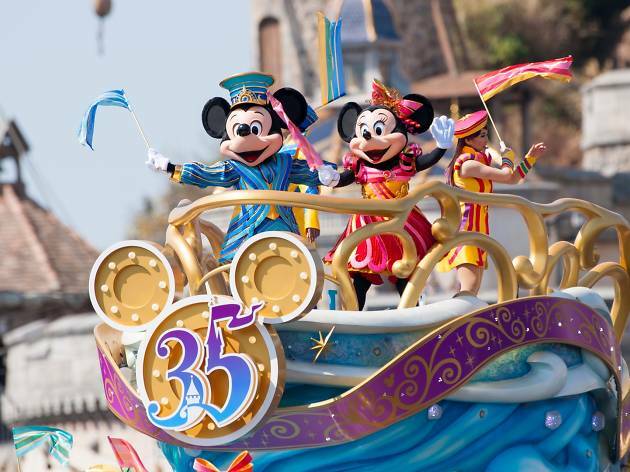 Make sure to catch the colourful parade, which takes place twice a day, usually in the afternoon. 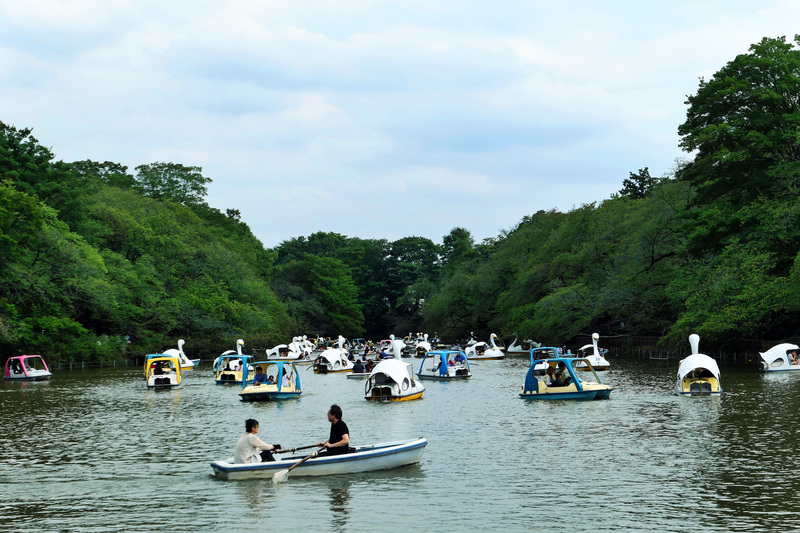 The lake is especially photogenic during the cherry blossom season and in autumn, but at other times of the year, the swan boats, which are available to hire, help create a fairytale setting. Do note that bird- feeding is prohibited at the park. 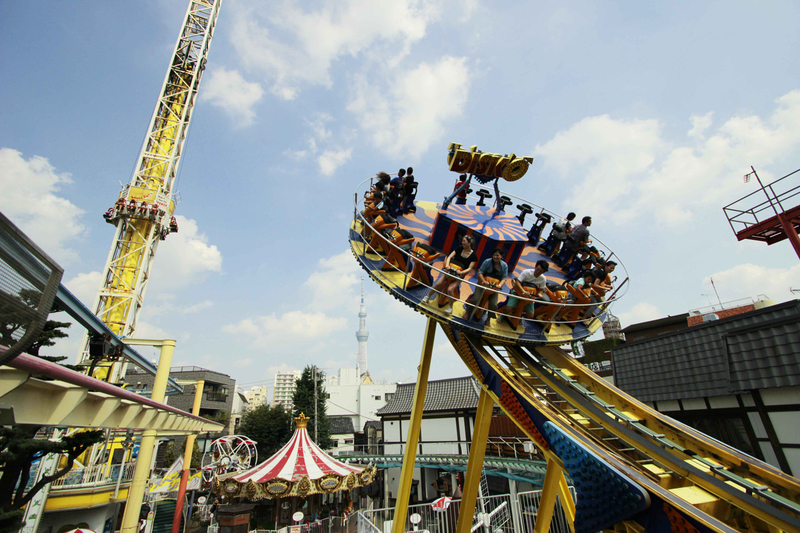 Ever wondered about the screams that can be heard from the otherwise peaceful grounds of Sensoji Temple in Asakusa? 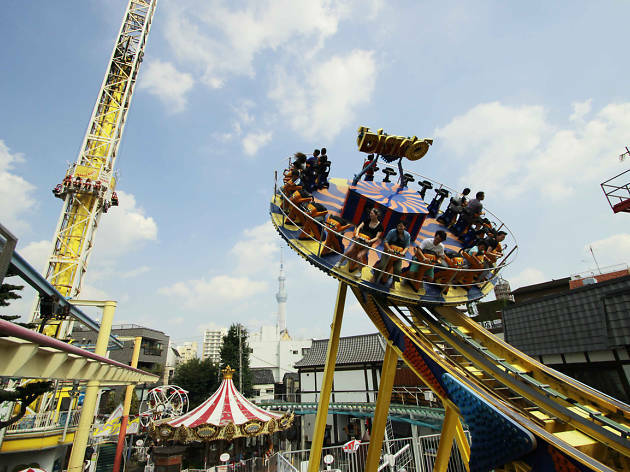 They come from Hanayashiki, Japan’s oldest amusement park which has been in operation for over 160 years. It’s lost none of its charm over the decades and families still flock to this compact park. 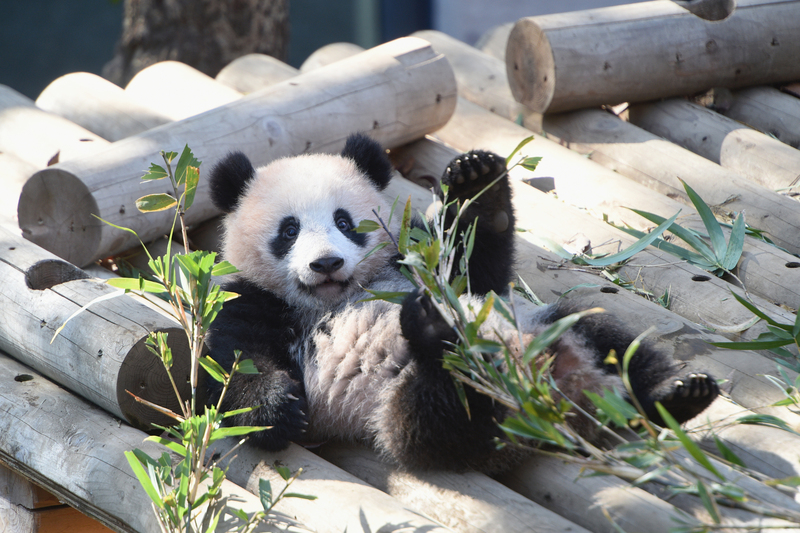 In addition to a selection of traditional carnival rides, there are also ‘panda’ rides and the first multi-level maze in Tokyo, which – much like most children – will delight and puzzle in equal measure. 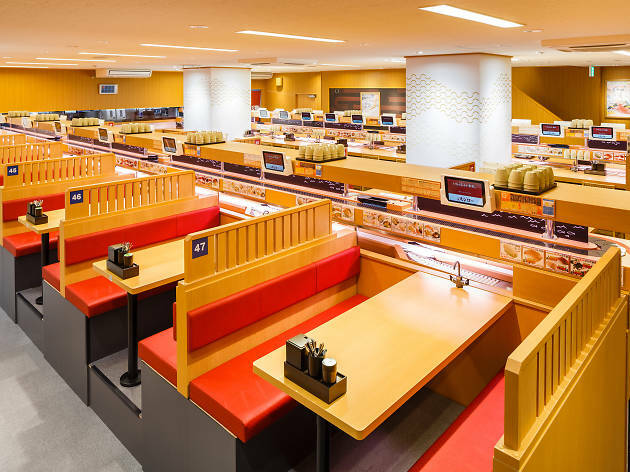 Conveyor belt sushi is no doubt on everyone’s Japan bucket list, especially if the restaurant allows you to order using digital displays attached to your table. 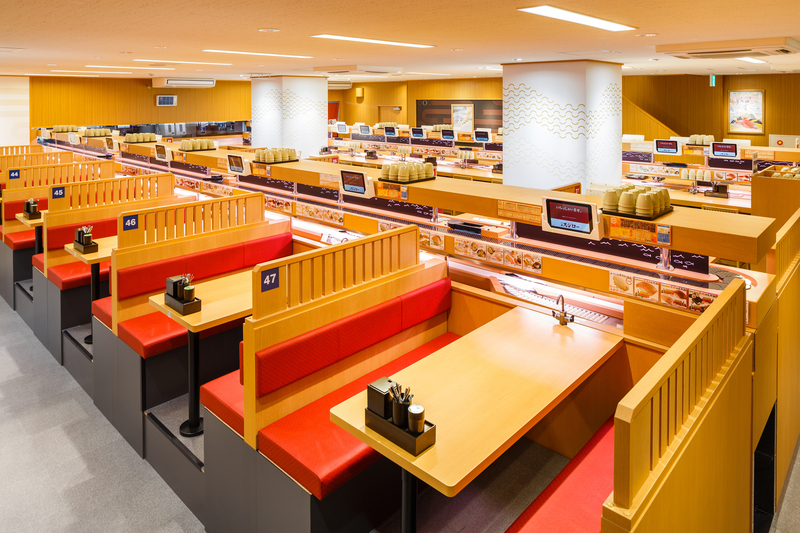 Sushiro in Ikebukuro is one such joint. 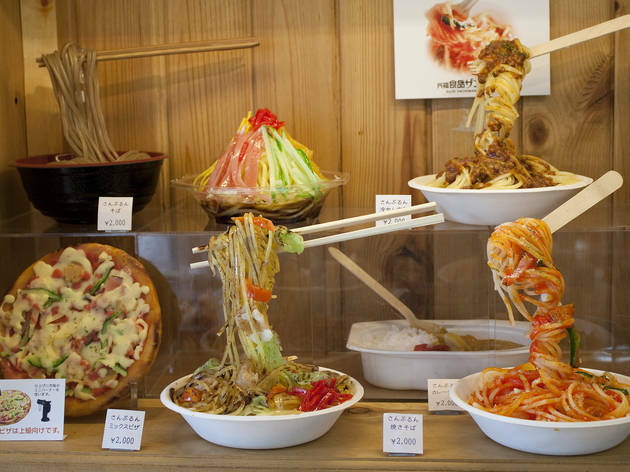 It is a cheap, family-friendly restaurant with a varied menu focused on sushi, but with alternative options for smaller, more picky, eaters including salad ramen and fried chicken. 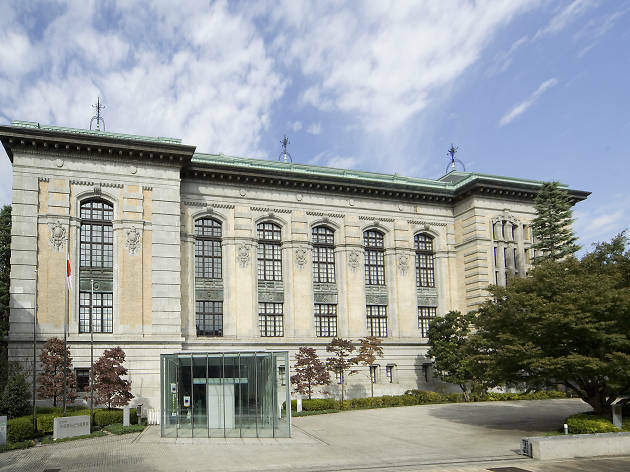 Housed in a beautiful building renovated by the famed Tadao Ando, the International Library of Children’s Literature (an offshoot of the National Diet Library) carries around 400,000 books from 160 countries. You’ll be glad to know that the kid-friendly café on site also offers delicious, cheap food. The set menus change daily, but always feature pasta, fish and meat options. 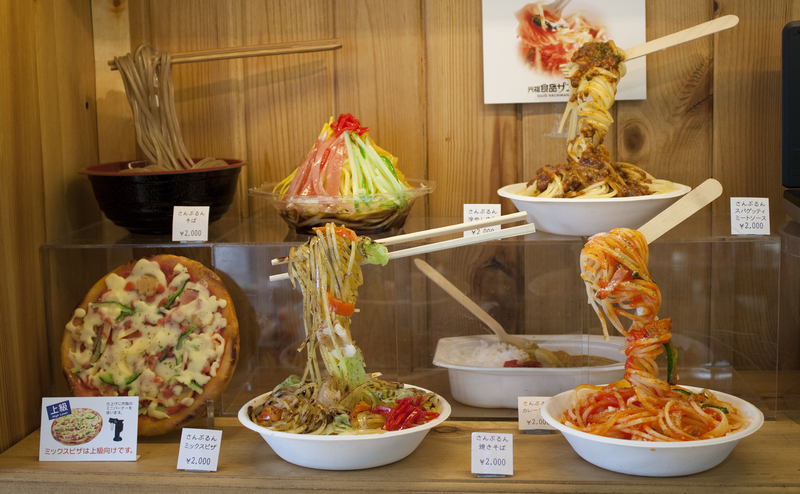 There’s always something for the little ones, and nothing costs more than ¥720. Plus, they don’t skimp on the portion sizes either. 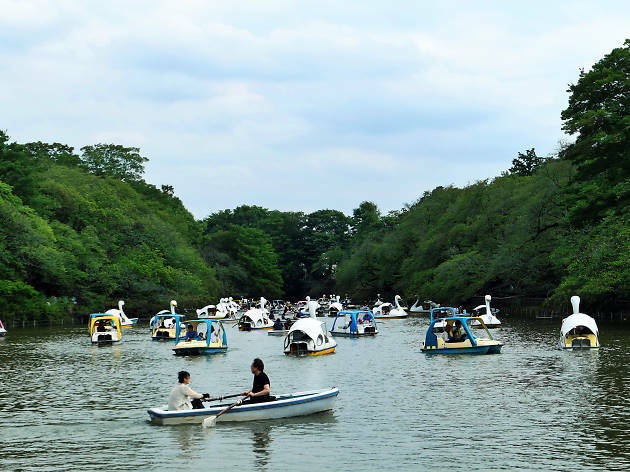 A water bus is a fun alternative to squishing the family onto crowded trains when trying to navigate between mainland Tokyo and Odaiba. 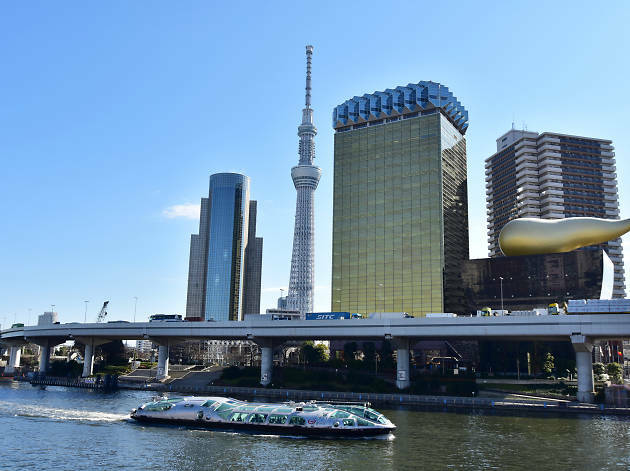 Himiko and Hotaluna are two boats operated by the Tokyo Cruise Ship Company that ferry passengers between Asakusa and Odaiba, with a few stops in between. 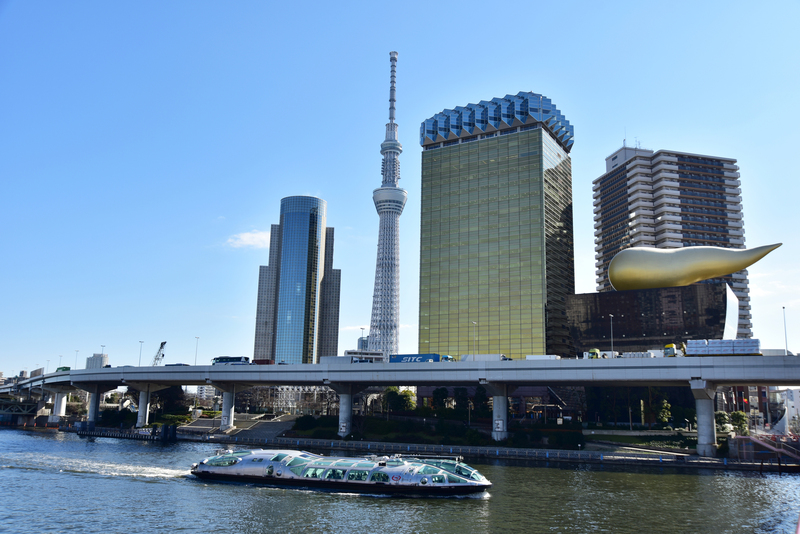 The boats look futuristic with their large windows offering panoramic views of the Sumida River and its many colourful bridges. Once on board you can enjoy a variety of drinks and snacks, including sake cocktails for the adults and ice cream for the kids. Depending on your destination, rides can take anywhere from 5-70 minutes. 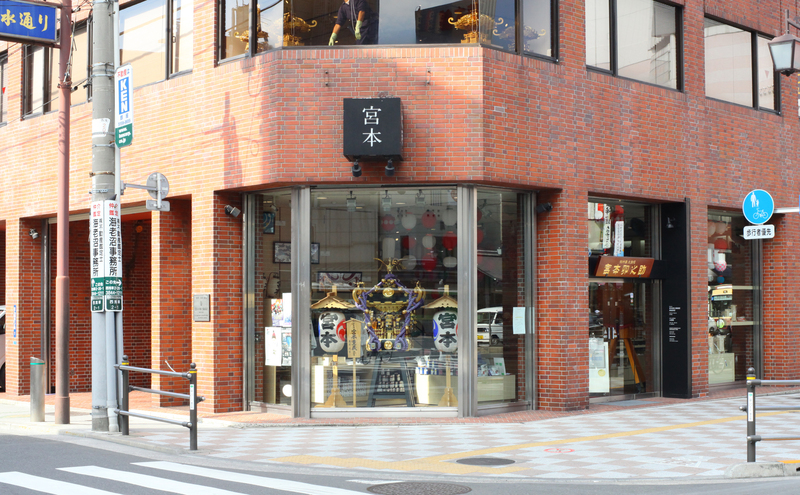 The Drum Museum, a short walk from Asakusa’s Kappabashi, makes an awful lot of noise for something that’s remained a hidden gem. Buy your ¥500 ticket on the ground floor before taking the lift to the fourth floor and its collection of drums from all over the world. Look for the drums with the little musical note that marks them as playable, and you and your kids can make all the noise you want without worrying about disturbing the neighbours. Also check out the display of drums and noisemakers used in kabuki performances – you’ll find everything you need to recreate a storm or the sounds of bugs during different seasons. 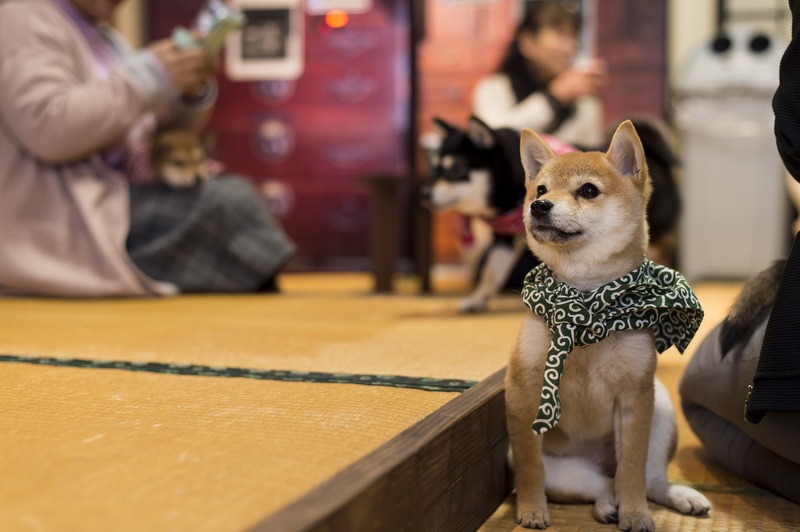 Tokyo’s pet cafés are high on many a traveller’s must-do list, and with specialist spots for everything from cats and dogs to snakes and hedgehogs dotting the capital, you’re spoilt for choice. 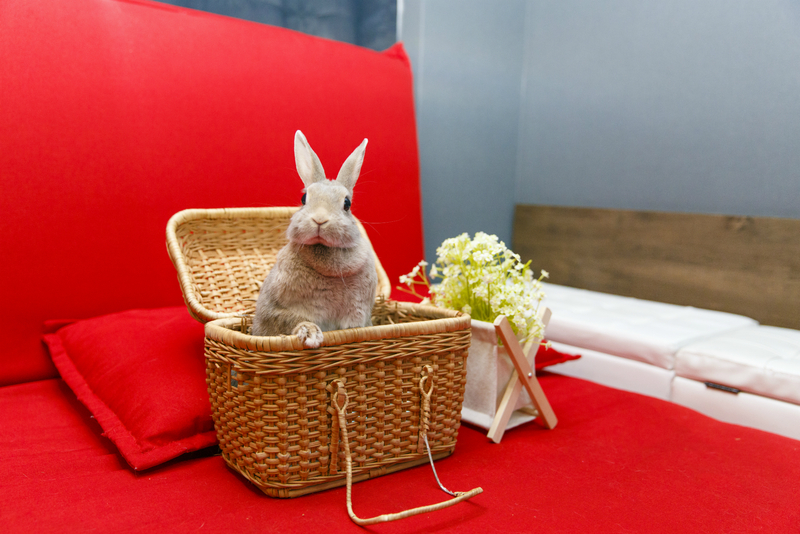 Bunny café Hutch in Asakusa offers a calm environment for kids not used to touching and holding animals. 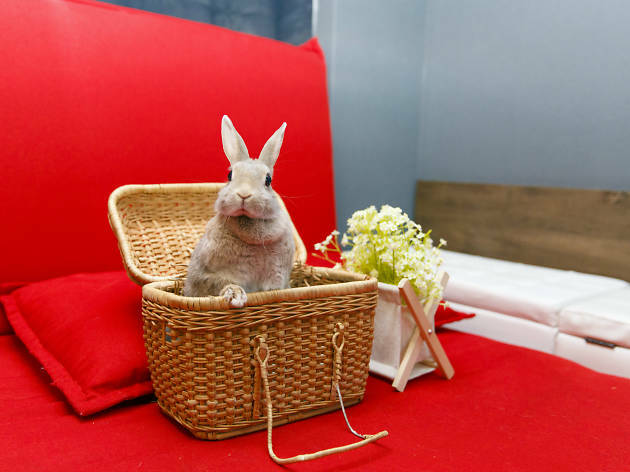 They have around 20 bunnies and while ¥4,320 for the ‘hug plan’ seems high, the attentiveness of the knowledgeable staff makes it worth the money: they’re extremely patient, letting you touch and hold your new furry friend for as long as you like. For ¥1,000 more you can choose your favourite bunny, head upstairs and play together uninterrupted for 30 minutes. 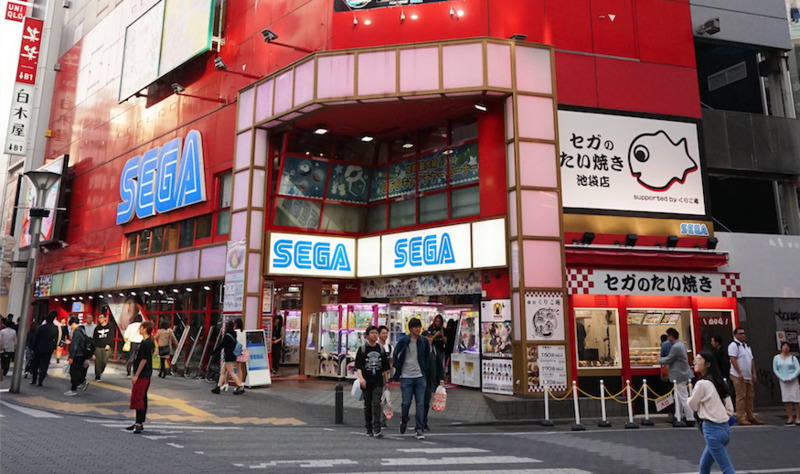 Asakusa’s Kappabashi, aka Kitchen Town, is one of those streets that you would not expect to be fun for children – the narrow sidewalks and store aisles are enough to scare away parents pushing strollers. But if you plan in advance, there’s a lot of fun to be had. 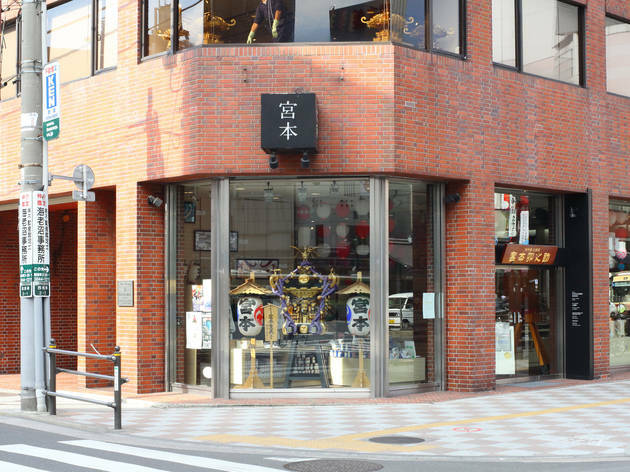 Head to Yokoyama for traditional sweetmaking essentials including cookie cutters, and your kids may even walk away with a free lollipop. Let the older kids have a try at making their own plastic food samples at Ganso Sample. 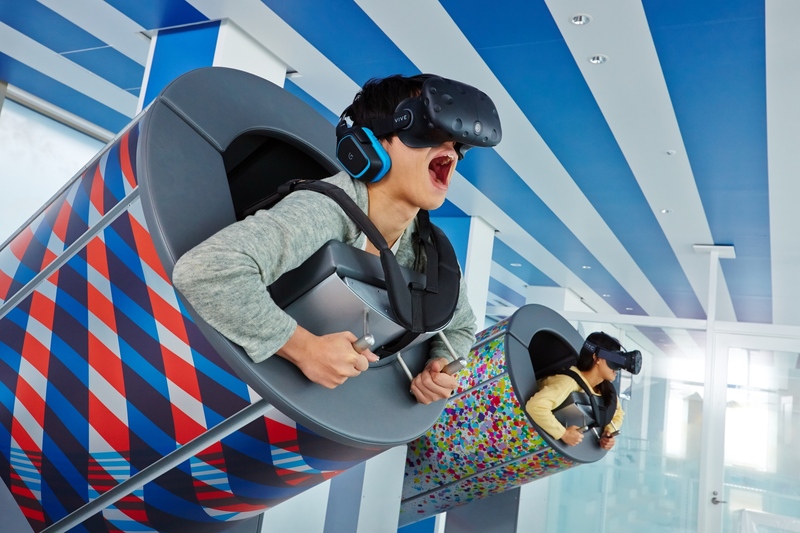 Sky Circus is located on the 60th floor of Ikebukuro’s Sunshine City, so the highaltitude theme of the three virtual reality rides available here is a perfect fit for the incredible views of the city. 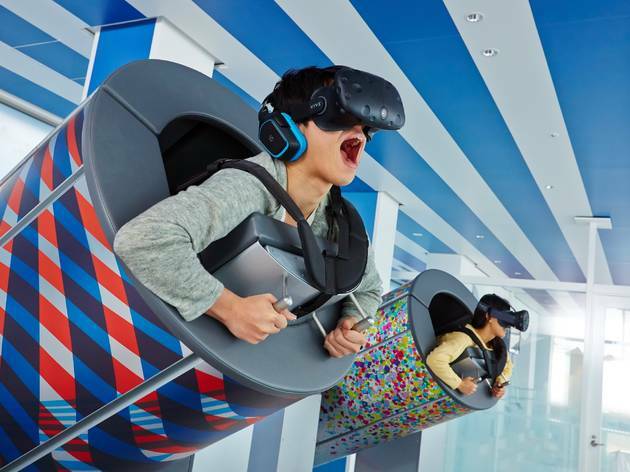 No, you can’t literally be shot out of a cannon, but with VR technology this advanced, there’s certainly no shame attached to a bit of screaming. KidZania in Toyosu is a haven for pretend play. Kids choose from 100 careers, sign up, and ‘work’ to earn kidZos, the currency of KidZania. Some activities earn you kidZos, while others require you to pay, so kids must come up with their own strategy. Popular activities fill up fast, so be sure to do some research before going so they can reserve the jobs they wish to do most. Also note that a degree of independence is necessary, as many activities do not allow parents to accompany their kids. 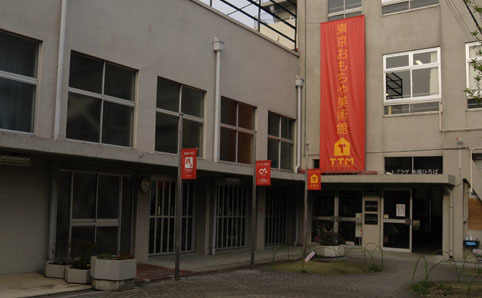 On Wednesdays, around half of the main activities are offered in English. 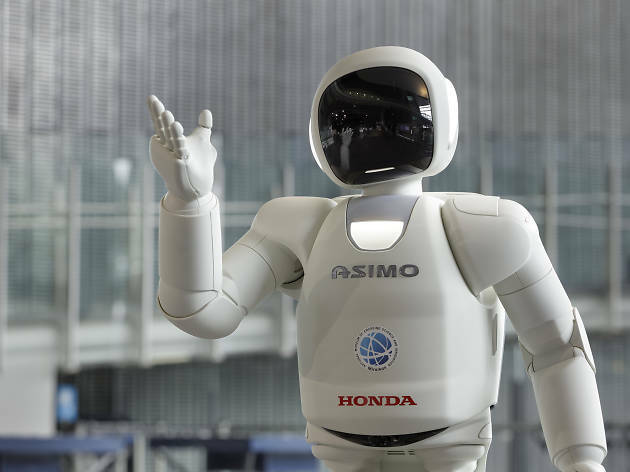 Also known as the Museum of Emerging Science & Innovation, this Odaiba museum is a robot lover’s dream. 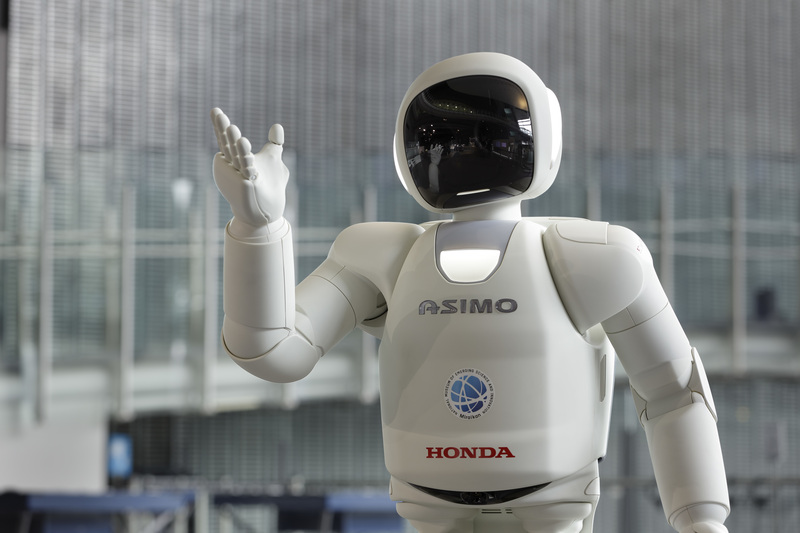 There are hourly demonstrations of Honda’s ASIMO bot and many high-tech hands-on activities to keep the kids busy. Check out the seventh floor restaurant for an opportunity to eat the world – there’s a blue rice cracker ice cream sandwich resembling Earth. 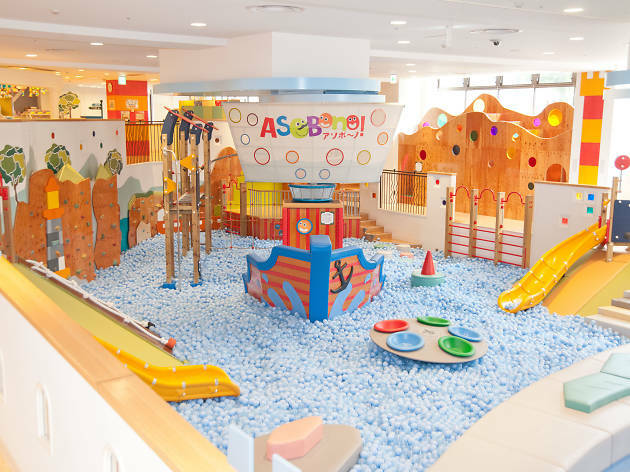 On the third floor you’ll find an activity-packed play area for younger children. 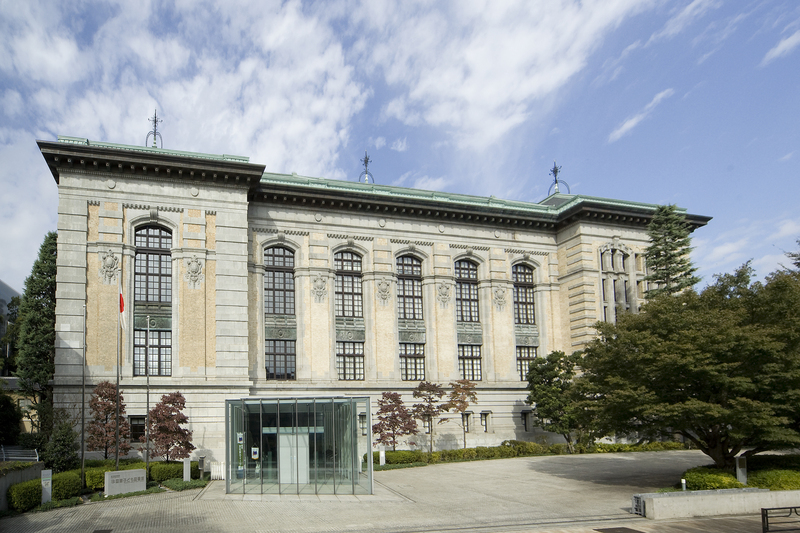 The museum has seamlessly incorporated English into each exhibit, creating the optimal learning environment even if your kids don’t speak Japanese. The in-your-face, colourful plastic that permeates the children’s toy market can be exhausting. 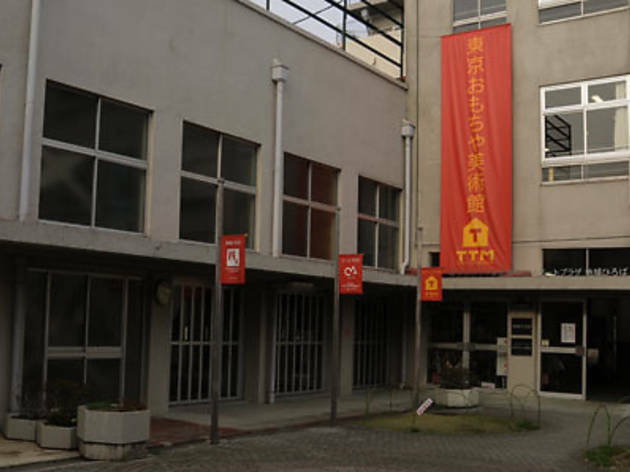 Thankfully, the Tokyo Toy Museum, a refurbished elementary school in Yotsuya, gives you and your kids some much-needed relief with its emphasis on toys made from natural materials. Under-twos can be let loose among the wooden eggs and bean sacks in the basement, while older kids can engage in board games and brain teasers from around the world on the second floor. You’ll also find a tatami area with volunteers on hand to teach traditional Japanese games, and a pool filled to the brim with cool, smooth wooden balls. 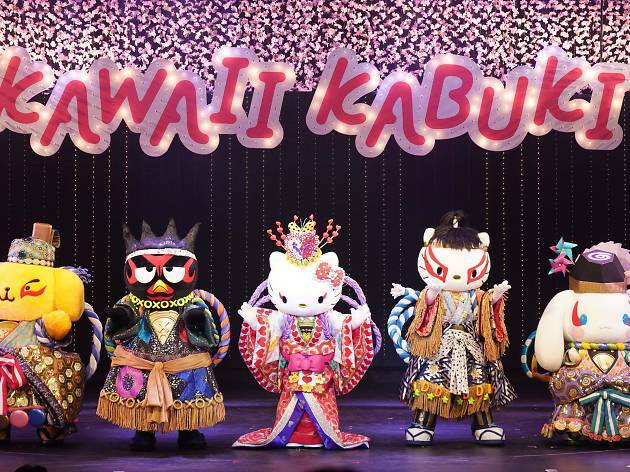 If you’re unable to make it to a real Japanese festival, here’s your chance to get a feel for one. The cafeteria and shops at Oedo Onsen Monogatari are all designed to replicate a summer festival in Edo-era Japan. 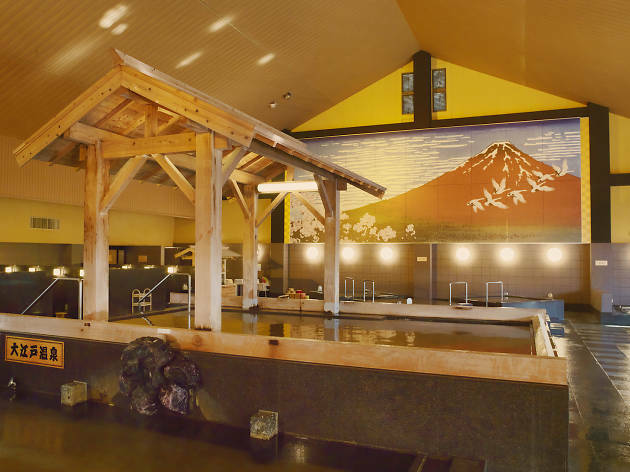 Babies are allowed in the baths too, but kids who are yet to be potty-trained will have to play in a baby bath next to you while you relax in the onsen. Unfortunately, people with tattoos aren’t allowed to bathe here, so if yours is too big to hide, it’s best to skip this one. Karaoke chain Pasela Resorts is famous for its customer service and huge helpings of honey toast. But it also caters to the family crowd with kidfriendly karaoke. There are child-proofed rooms with padded flooring and walls, mini-microphones and complimentary kids’ toys (of the cheap plastic variety). Are you ready for the ABC song, karaoke style?